The tunnel would sit about 100 feet below the surface of a fjord. Highway E39 in Norway is one of the most beautiful drives in the world, hugging the country's rugged west coast from Kristiansand to Trondheim. It is 684 miles of unending scenery, including rivers and lakes, waterfalls and mountains and numerous fjords. 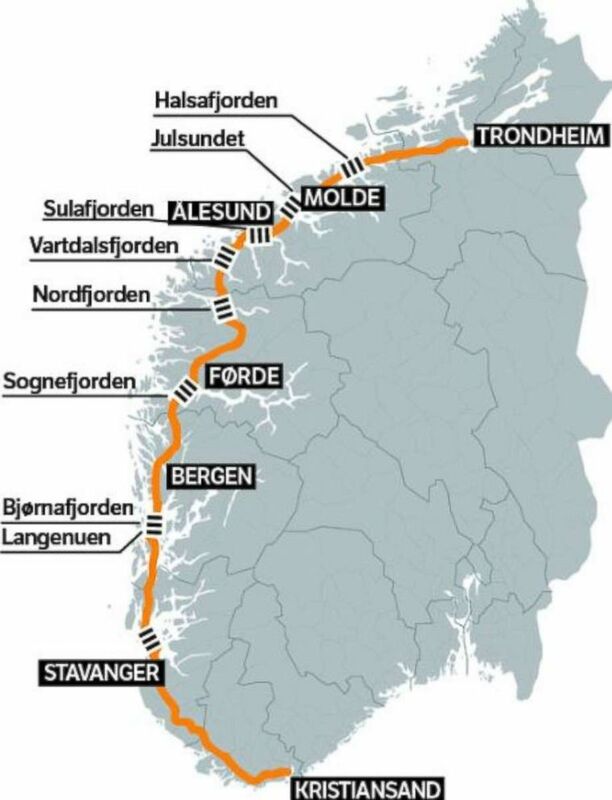 (The Norwegian Public Roads Administration) A map shows the fjords along the west coast of Norway and the route of E39. In fact, she said, "the tunnels may become attractions," like a "new Eiffel Tower on and under the water.